1. Spread the sesame seeds on a flat plate and roll the tofu squares and coat evenly with the seeds. 3. Arrange the tofu on the pan and cook for 3 to 5 minutes. 4. 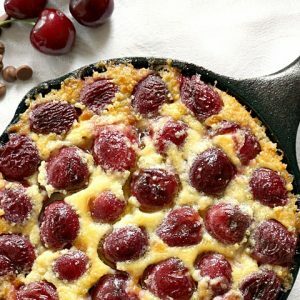 Flip them over and cook for another 3 to 5 minutes. 5. Add the soy sauce and turn the tofu over and cook for 30 to 45 seconds. 6. Transfer the tofu to a plate. 7. Meanwhile, heat olive oil in a pan and saute the garlic until golden. 8. Add the spinach leaves and cook for 2 minutes. 10. Transfer the spinach leaves to a plate and place the tofu squares on top. 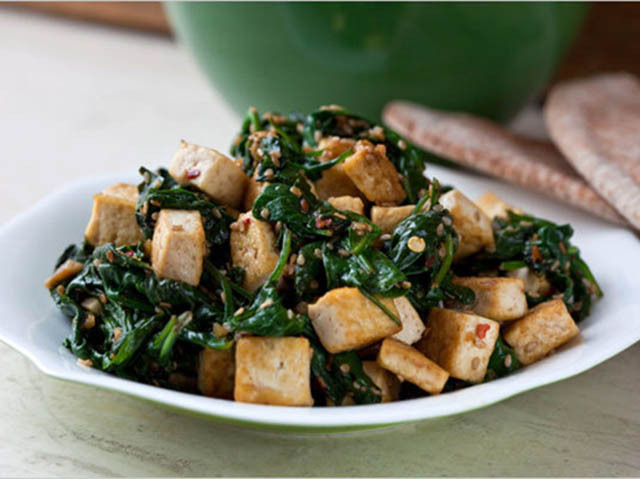 Feel free to comment or share your thoughts on this Sesame Tofu with Spinach Recipe from Awesome Cuisine.